Your One-Stop Shop for Brakes, Clutches, and More! 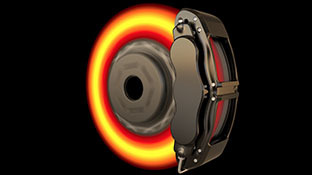 For more than 30 years, Phoenix Friction Products has provided customers with the highest value and best selection of clutches and brakes for OE replacement, street performance, and heavy duty fleet use. 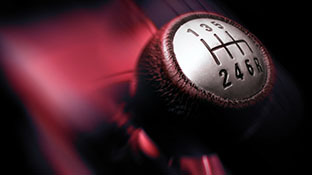 Our industry-leading technical support comes complete with free shipping on automotive products. Don't believe us? Check out our customer feedback on eBay. In 2006 we expanded our marketing channels to showcase our product offerings online. Our competitive pricing and comprehensive technical support are paramount to our growth. All customers receive five star support and service on all our product lines and our engineering staff is readily available to assist in the design of new O.E. and performance applications. Phoenix Friction focuses on delivering the best value and service to all of our customers and we encourage you to give us a try on your next clutch or brake job. We are the industry leader in bringing you solid flywheel conversion kits for all your towing and performance needs. 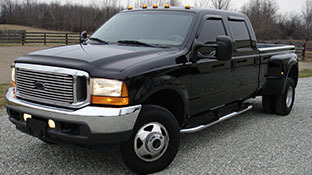 There are up to six levels of performance with varying combinations of smooth engaging heavy duty commercial-grade organic woven facings, higher performing and silky smooth Kevlar Facings, high-performance quick launch ceramic buttons, and a unique dual friction high-heat and long-life Kevlar/Ceramic combination used in severe duty towing applications. We offer this wide selection of product so we can meet your exact performance requirements. All of our Stage kits use components made in the USA and assembled and tested at our facility. For automotive applications, we have an extensive selection of performance clutches to suit your needs. There are heavy duty organic upgrades for engines with higher output than stock where the owner wants a similar launch characteristic as the original clutch. We also have Kevlar based clutch kits for applications where longer clutch life is a driving concern. These types of clutch kits can be used in normal driving, towing, and off-road (especially rock-climbing) applications. Finally, we have a complete line of ceramic based friction clutch kits offering the quickest launch for the ultimate in street performance. All of our performance clutch kits show the engine torque capacity and horsepower rating. For demanding brake applications, try our completely made in the USA HDM brand high-heat heavy duty semi-metallic brake pads. These brake pads have been extensively field tested and used for years by fleets like UPS, which is the largest fleet in the USA, on their Ford, GM, International, Freightliner, and Workhorse Step Delivery Vans. Many smaller fleet operators can also benefit from the quality and longevity of our HDM pad line in severe service applications. Pickup trucks used to tow heavier loads, off-road construction, oil field, and farm pickup trucks and both commercial delivery and passenger vans have all benefited from reduced maintenance and increased safety with our products.